Is The Mad Popper popcorn nut free? Yes! We are 100% nut free. Is the corn used at The Mad Popper non-gmo? Are any of your popcorn flavors Gluten Free? Yes! All of our standard flavors and fruity flavors are Gluten Free. We occasionally have Flavors of the Week that are made with ingredients that contain Gluten. We take precautions to insure that our machinery is clean and our Gluten Free flavors are not contaminated. Please feel free to ask before sampling or buying. Do your flavors contain dairy products? All of our savory flavors, as well as Caramel and Toffee, contain dairy. If you have a dairy allergy, please feel free to ask before you sample or buy. 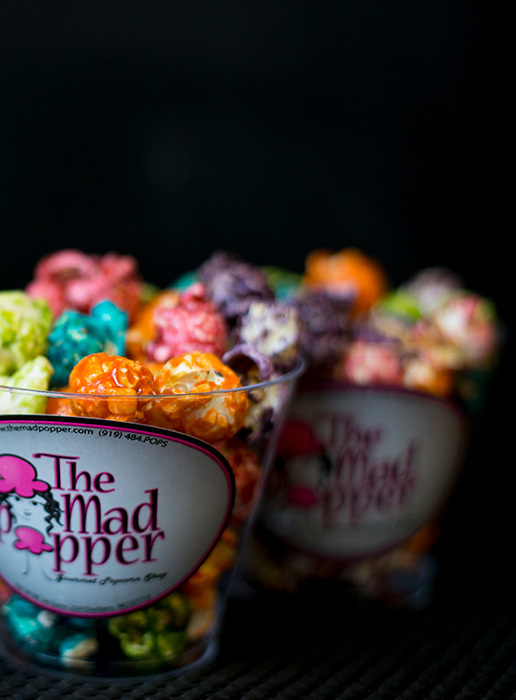 Is The Mad Popper popcorn Kosher? The Mad Popper is not certified Kosher. Several of our flavors contain 100% certified kosher products, however some do not. We are happy to make arrangements for our store to be hekshered. Hekshering is overseen by Rabbi Daniel Greyber, the conservative Rabbi at Beth El Synagogue in Durham, NC. Please call our store for more details. Will you make special flavors upon request? Yes! We are happy to fill special request orders. We do ask that you buy at minimum a Party Bag of the flavor you are requesting. Can I order popcorn on-line? Currently we do not have an on-line store. We are happy to take your order over the phone, email, or fill out our online form. Please do NOT send us your credit card information in your e-mail. If you will please include your phone number, we will contact you to get your payment and shipping information. We ship our popcorn around the country Sept.-May. The summer months are too hot to guarantee fresh delivery. Yes! 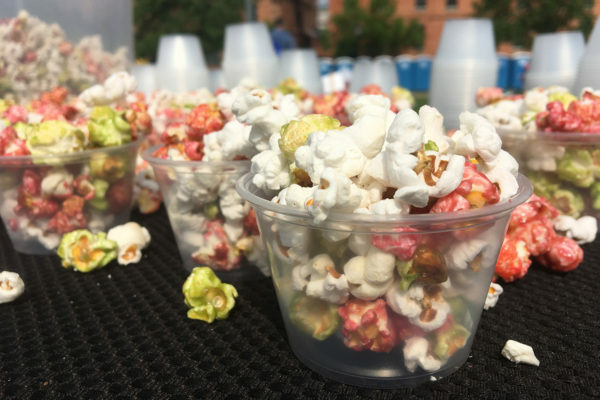 We are happy to deliver our gourmet popcorn throughout the triangle area. We are continually coming up with new flavors! We provided a list of our signature, seasonal, and specialty flavors here. Is The Mad Popper a franchise? No. 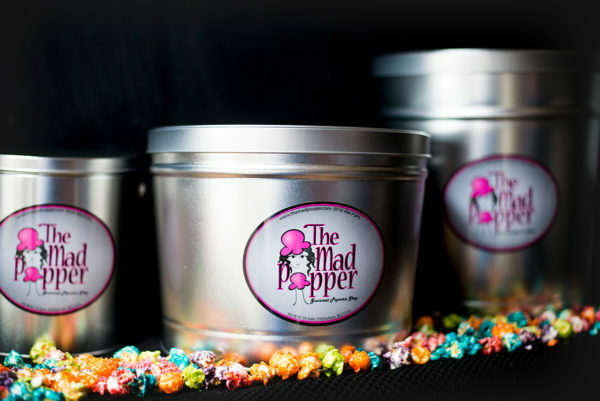 The Mad Popper is proud to be a locally owned and operated gourmet popcorn shop. We have one location in the Homestead Market Shopping Center in Durham, North Carolina. 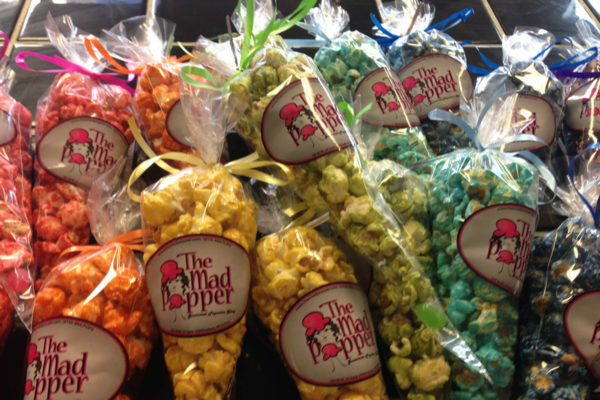 We pop all of our delicious gourmet popcorn at our shop daily. Where else can I purchase The Mad Popper popcorn? Our gourmet popcorn can be purchased at Bulldega Urban Market, The Glass Jug, Bean Traders, Sam’s Quick Shop and Sam’s Bottle Shop. We do not have a formal fundraising program. We are happy to support our local community and are willing to come up with fundraisers to meet your needs.